At Teguar, we believe in putting the customer first, listening before we speak, and guiding each client at every step of the way. We strive for "Excellence" in every customer interaction, whether it be an e-mail, phone call, or face-to-face meeting. Our goal is to help our customers achieve theirs. 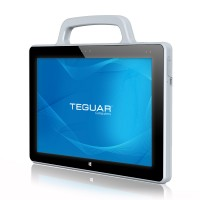 Always on the lookout for new industry trends, Teguar employees love technology and design... and aren't ashamed of it. After all, this deep interest in technological advancement enables us to keep up with the latest trends, foresee changes to our target markets, and adjust more quickly to the needs of our customers. 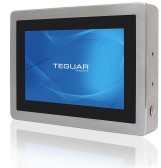 All of Teguar's computers are built with industrial-grade components to ensure reliable 24/7 operation. Designed for continuous use in the toughest environments, our units routinely sport features like fanless cooling systems, IP/NEMA rated waterproof housings, and extended operating temperature ranges. The use of high-quality components results in a lower total cost of ownership and a faster return on your investment. Our ongoing commitment to quality is evidenced by our status as an ISO 9001:2008 certified company. 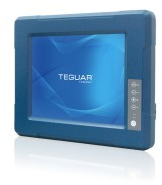 This certification, and the annual audits it requires, reinforce Teguar's customer-centric approach and dedication to providing industry professionals with the best computers and service possible.